MUMBAI: Google today paid a tribute to legendary singer-actor Kishore Kumar on his 85th birth anniversary by dedicating a special doodle to him. This entry was posted on Monday, August 4th, 2014 at 5:53 pm	and is filed under Newspapers. You can follow any responses to this entry through the RSS 2.0 feed. You can skip to the end and leave a response. Pinging is currently not allowed. Jay ho Kishoreda Ki!! !The whole world knows he is the greatest singer & genius mankind has ever seen. Hello from Canada. 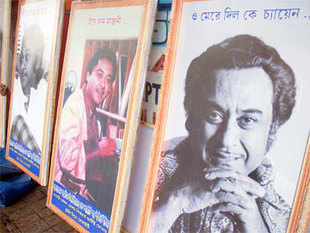 I am a Kishore Kumar singer and perform in concerts dedicated to him. The audiences here appreciate us with standing ovations. I consider myself one of the best Kishoreda singers today. I am humbly requesting an invitation from you to perform a Kishore Kumar concert for your organization? Have a listen to the following, turn the volume up and wear headphones. Please consider this offer, it will be fun.